Last Monday, I shared my word for 2016 and how to successfully set goals. It was my intent to share my goals last week as well…but I was busier than I expected. I want to pass my black belt exam at our fall clinic in October. If my sensei and I feel that I’ll be ready, I may try to test sooner at a clinic in Chicago, but the current plan is October. Open an Etsy shop. I’m still doing some research. So, I’ll talk more about this later, but the tentative timetable is to be live on 4/1/16. Pay off 1/2 of our debt snowball, not including my business loan. This is going to be a big stretch for us, but we’re really eager to kick the debt in the teeth and be done with it. Complete a 10K. I haven’t managed to run consistently since the year we got married, but I wised up and ask a fellow runner friend to be my accountability partner. I want to run at least one 5K each of the first two quarter of 2016 and complete my first 10K by the end of the year (probably after my black belt exam). 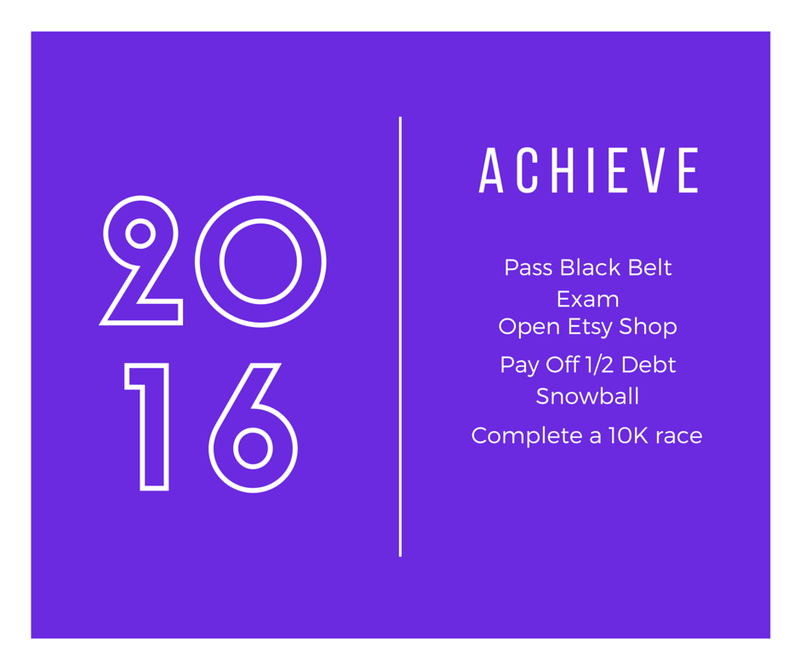 Tomorrow, I’ll be talking goals again by joining the Monthly Goals linky and breaking these down into smaller action steps to move me along toward ACHIEVING in 2016. Be sure to join the party, hosted by My So-Called Chaos and A Peek at Karen’s World. 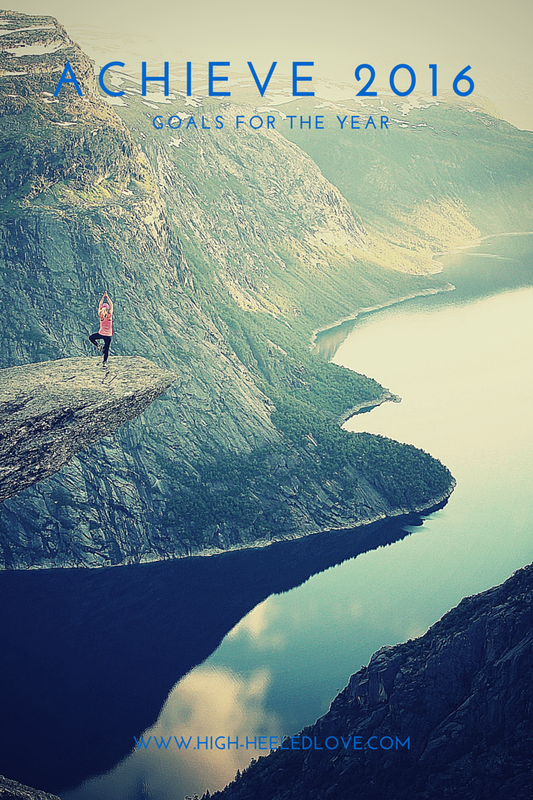 What was your biggest accomplishment in 2015? What are your goals for the new year?